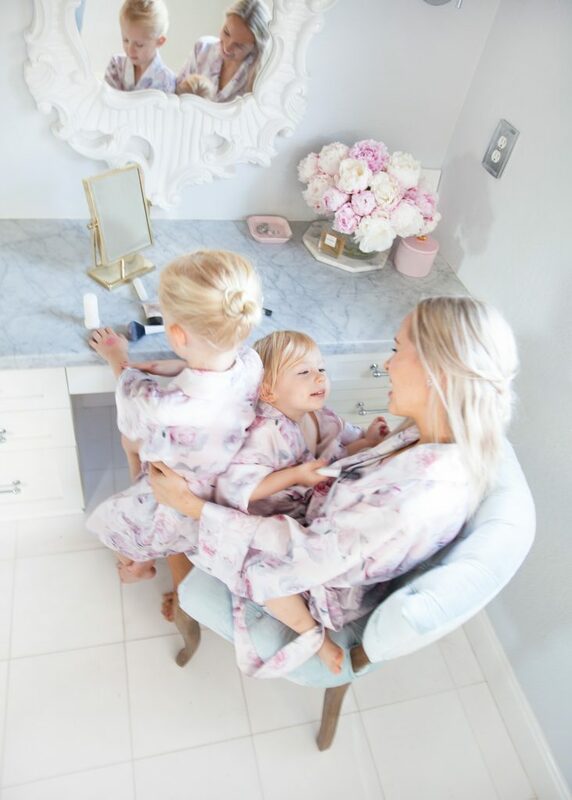 Sundays are for playing dress up, home spa time and as much quality time with my girls as possible! Followed by a whole lot of make-up remover after I agree that purple eye brows are a great idea! 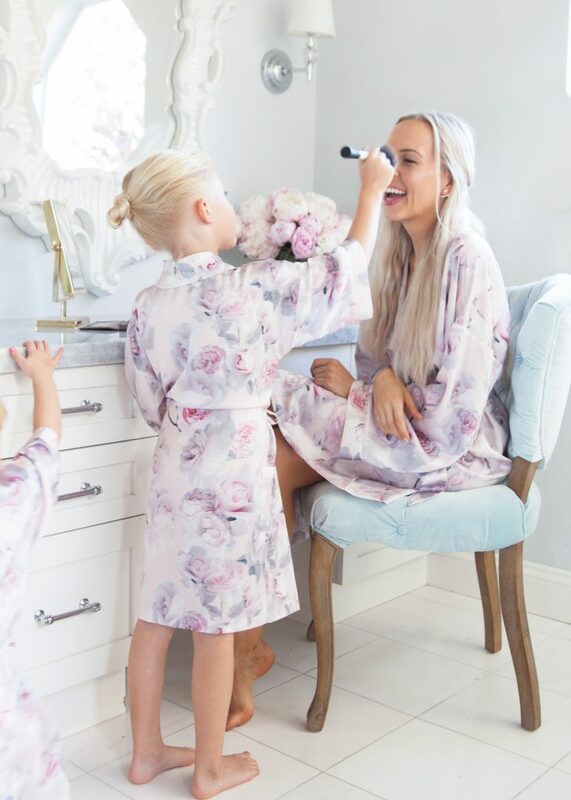 As you know Review Australia is one of my favorite brands, and seeing them come out with some adorable children’ options as part of their Romance collection, made me beyond excited!I first featured their adorable flower girl dresses HERE and then had to have these amazing matching mommy & me robes. They also come in ‘Bride to Be’, ‘Bridesmaid‘ and ‘Maid of Honor‘ embroidered options! 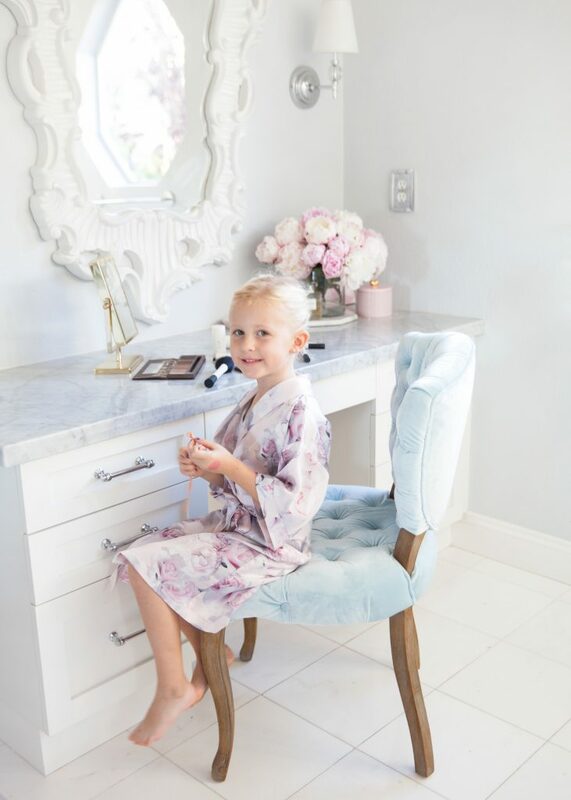 Makes me want to get married all over again!